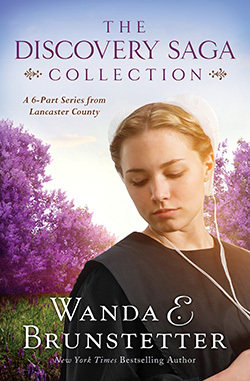 Wanda E. Brunstetter's Bestselling Serial Novel Is Now Available Under One Cover! It was to be a short trip to Indiana that might help Luke Stoltzfus build a business that will support his young wife. But when Meredith hears that the bus her husband was on burned in a snow-induced accident and his personal effects were found among the rubble, she is left without hope. Harboring a secret she had planned to share when he returned, she must find a way to go on alone. Follow the journeys Meredith and Eddie take, and see the amazing way their lives are brought together.